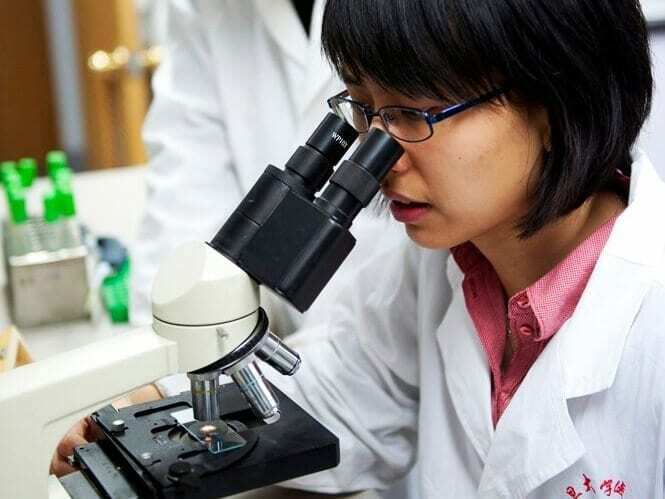 For entrepreneurs seeking to develop new drug therapies, opportunity—including the possibility of R&D funding support—awaits in China. 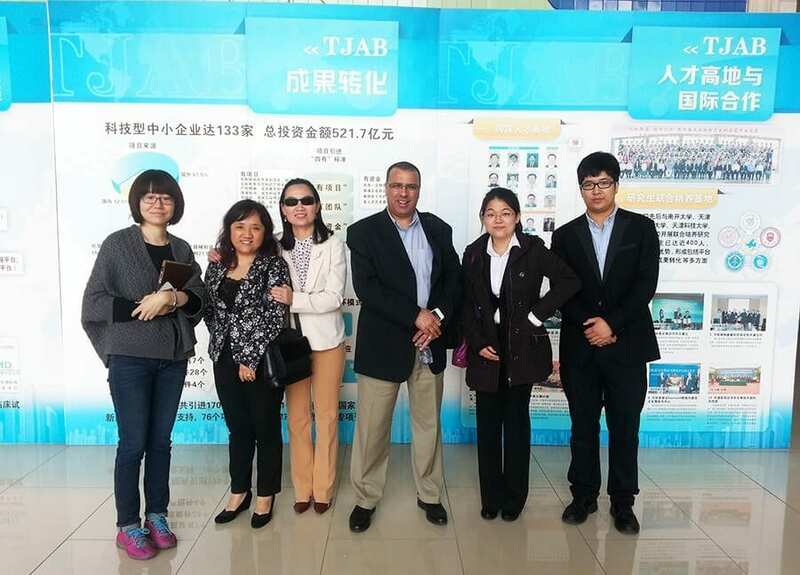 In a recent Ontario delegation trip to China, I had the opportunity to visit the Tianjin International Joint Academy of Biomedicine (TJAB), along with Fang Liu, a senior scientist from the Centre for Addiction and Mental Health, and Malik Slassi, president and chief scientific officer of MaRS client Fluorinov Pharma Inc.
TJAB is one of China’s 15 national New Drug Creation and Development Integrated Platforms, funded by the National New Drug Creation and Development Program, which was launched in 2008 to provide 6.6 billion yuan (CA$1.1 billion) to accelerate domestic drug development. It was an eye-opening tour, showcasing how China is taking a different route to improving the infrastructure of drug discovery and development. It is widely recognized that western countries are facing several drug development challenges, including lack of productivity and shrinking research-and-development (R&D) funding support. Challenges are present in all stages of drug development activities, including the pre-discovery, pre-clinical and clinical stages, and especially for small pharmaceutical companies and academic scientists. The TJAB model is trying to tackle these challenges with the goal of building a facility that offers a fully integrated one-stop drug discovery and development service, and also offers funding support all the way from pre-clinical to regulatory approval. The platform is open to both industries and academics, including applicants from foreign countries. Best of all, companies or scientists can use the facility’s services at cost price. The facility is composed of four core technical platforms and seven supporting technology platforms, all offered through extensive collaborations with academic and industrial entities in Tianjin. Drug Discovery Platform: This platform consists of target protein research, a compound library and a high throughput lead discovery and validation platform. Drug R&D Information Management Platform: Mainly used to manage regulatory filings to the SFDA, FDA and EMEA, this platform also provides evaluation and assessment of biomedical progress related to malignant tumor, cardiovascular and metabolism diseases. Drug Analysis and Test Platform: This one single platform consists of chemical analysis, biochemical analysis, cellular analysis, and analysis and test mechanisms of systems biology. Biological GMP Pilot Plant Platform: This platform provides biological process development and good manufacturing practice services in full compliance with SFDA, FDA and EMEA regulations. Partner: Tianjin Pharma Tech Co., Ltd. This platform operates in full compliance with global good manufacturing practice requirements. Partner: Asymchem Life Science Technology (Tianjin) Co., Ltd. This platform is dedicated to formulation development and drug product manufacturing with full good manufacturing practice compliance. Partner: Tianjin Pharmaceutical Group Co., Ltd. This platform provides services including studying drug candidate safety, PK and efficacy in full compliance with global good laboratory practice requirements. This platform helps to establish clinical bases and to conduct clinical trials. Fountain (Tianjin) Medical Development Co., Ltd.
More details of other opportunities in China to come this fall! In addition to its drug development services, TJAB also acts as a sector incubator and provides legal, grant application and commercialization services. It is worth mentioning that a facility of this scale and capacity is not rare in China. A detailed exploration of other opportunities in China will be presented at MaRS’ upcoming Going Global Series: China in September. Stay tuned!